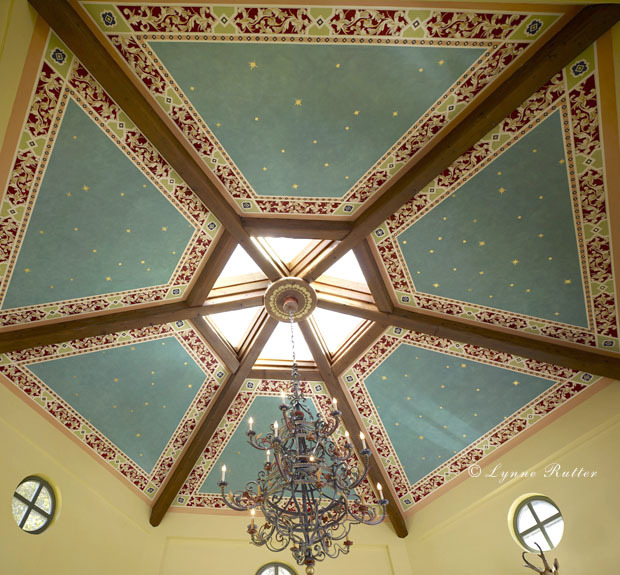 Inspired by early Italian Renaissance borders, this ornamental ceiling mural was custom painted for an unique hexagonal room with soaring 22 foot ceilings. The mural panels were hand-painted on canvas in the studio, then installed and finished on site. Acrylic on canvas, 22 karat gold leaf stars and accents, 850 square feet.